I am very surprised that there are so few topics open on the "30" serie. So I add the Vauxhall and hope that some others fellow will complete this topic. Two photos showing 2 pre-war and 3 post-war models and the base plates. So many variants you have, Richard. It will be a challenge for you to find nice pre-war examples with criss-cross grille and spare-wheels! 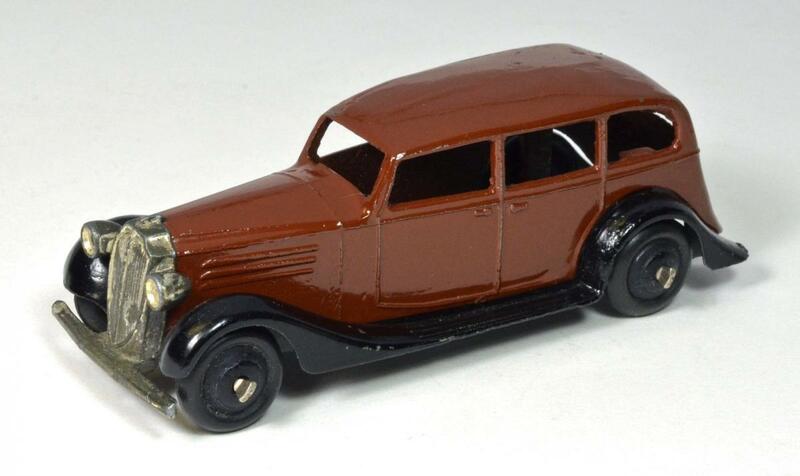 Jan—-I happen to have a very nice brown version, a later post-war one, with the solid chassis. I remember buying this from Burnett Diecast, over 10 years ago. Jan—Very nice example and in wonderful condition. The brown does look quite nice on this model. What do you know about the silver wheels? I don’t remember seeing them before, or even reading much about them. Have you been able to uncover any information about it’s use. Also have not seen one with those nice lightly treaded tires. Definitely an uncommon example! 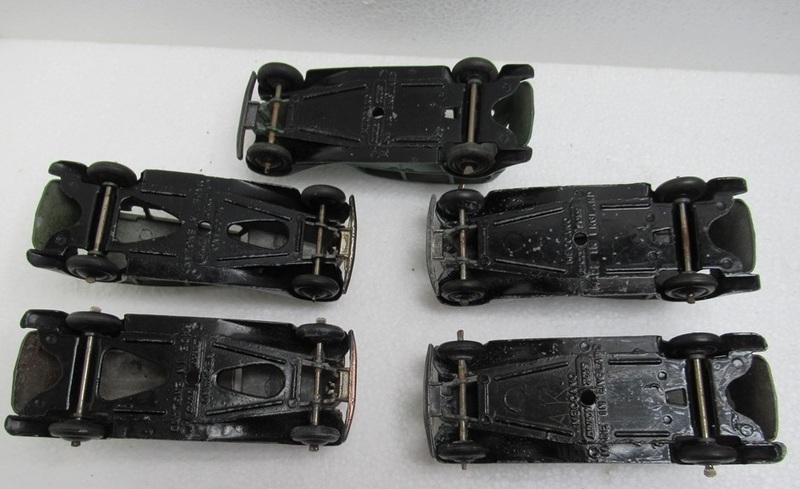 Hi Terry, these silver wheeled models are very late 1940s in my opinion, about 1950-1952. So this one may have been at the end of its career, in 1950. That's why it seems to be scarce. Some of these models with silver painted hubs are even seen with rounded axle ends. See my photos attached. Rob van der Hoort shows a similar example at http://dtcawebsite.com/?q=node/3757&page=6. #184. A nice sharp photo. No shadow or edge of the photo to see. Artfully. 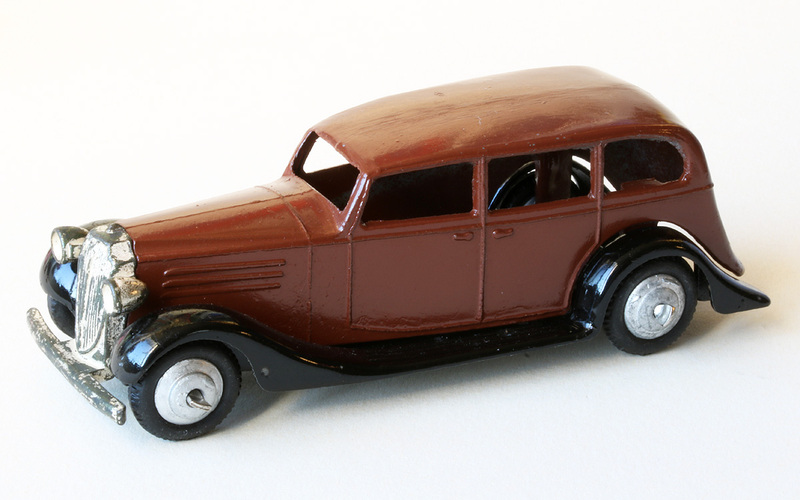 I think the Dinky is based on a 1935 Vauxhall 25. Post WW2 my father had a similar 1935 Big Six B-type. When I find a photo I’ll post it.